I am committed to creating a stress-free and relaxing experience. 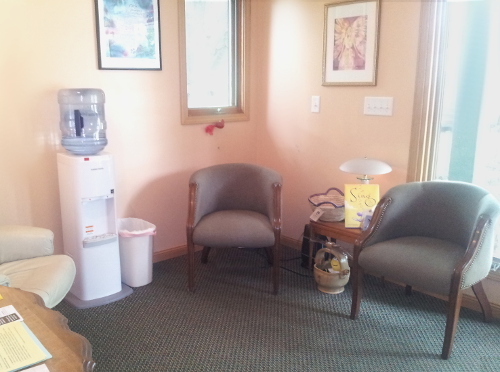 The office is located in the beautiful Stillpointe Wellness Center, Belleville, IL. DUE TO A FAMILY CONCERN, I AM NOT SCHEDULING ANY APPOINTMENTS BEGINNING 9/10/18. I DO NOT KNOW WHEN I WILL RETURN. I SINCERELY APOLOGIZE FOR THE INCONVENIENCE. When you arrive, please have a seat in the waiting area. I will greet you in the waiting area. There is water and hot tea available so please help yourself. Please arrive 10 minutes early for your first appointment. There is paperwork to fill out. Also, please bring a list of all medications and supplements. This will become part of your file. Handicapped parking is available in front of the center. 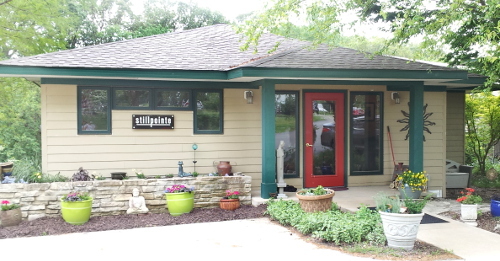 Stillpointe Wellness Center is located in the country. Sometimes bad weather or snow/ice may cause your appointment to be cancelled with short notice. Anyone under the age of 16 (minor) will require a parent’s release signature. Also, a parent or sibling over the age of 18 must remain in the room during the session with the minor. I respect your modesty, comfort and safety. Directions may be found on this website as well as on Stillpointe’s website, www.stillpointe.org. I can also text the directions to you. Cash, debit/credit cards, and checks (from established clients) are welcomed forms of payment. I also offer gift certificates.